When people talk about great national teams who failed to lift the World Cup, there are a few teams who routinely crop up. The Magical Magyars of Puskas and Kocsis in 1954, the Cruyff-inspired Dutch team of 1974-78 and the Brazil team of Socrates and Zico in 1982 are often mentioned in accordance with such discussion. And quite rightly too, all three were exceptional teams laced with quality, particularly the first, with whom it is in footballing terms a travesty that they never lifted the World Cup. One national team who escape a mention in the annals of greatness is the French team of 1958. 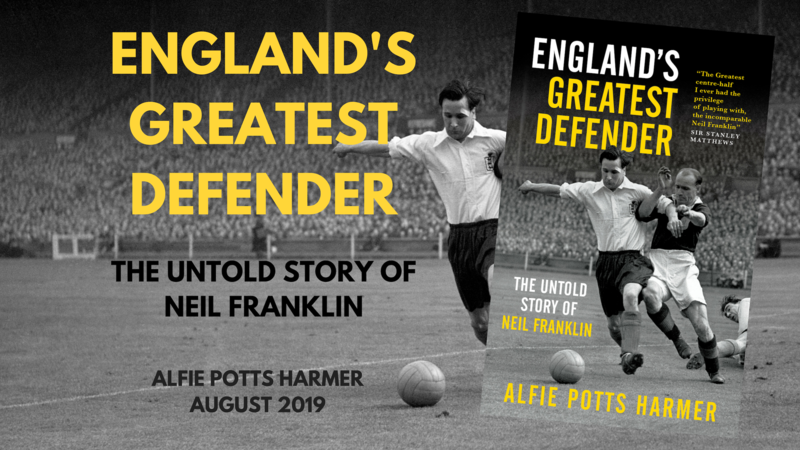 They are immortalised perhaps by only one fact, and that is the goal scoring feats of Just Fontaine, whose 13 goals in 6 games stands as a World Cup record which may never be beaten. The truth though, is that the French national team of 1958 was an exceptionally gifted group of players who played a vibrant brand of attacking football and were only knocked out by the simply irresistible Brazil team of that time. The 1958 World Cup was quite possibly the greatest in the tournaments history. There were some doubts regarding the hosts, given that Sweden was a relatively small country to host the world’s biggest sporting event, with suggestions that stadiums in Copenhagen and Oslo should also be used due to the size of the country and the fact that 8 of the 12 stadiums selected had a capacity of 20,000 or less. However, the tournament was a great success. Not only did Sweden prove excellent hosts, they also proved fine competitors, reaching the final of the competition, with five of their players being stars of the Serie A, including their talisman Kurt Hamrin. The tournament was free-scoring, highly entertaining and saw some shock results, although the early tournament favourites Brazil were eventually victorious. Sadly, the 1958 World Cup was only the second World Cup to be televised, and watching footage now one sees very grainy black and white pictures which somewhat detract from the football being played. It is for this reason that the 1970 Brazil team is held in such regard. Seeing the Brazilians play with such style and verve in 1970 in full colour was regarded as a revelation, but in truth, the Brazil squads in 1958 and 1962 according to almost all accounts played just as good, if not better football than the team of 1970. The focus of this article though is the France team of 1958. Les Bleus arrived in Sweden as little fancied outsiders. They had put in a poor show four years earlier in West Germany, going out in the group stages after defeat to Yugoslavia and narrowly beating a Mexico team that Brazil had thrashed 5-0. Only a handful of players from France’s failure in ’54 survived to make the squad of ’58 though, and France went into the tournament with a relatively young and inexperienced squad, with only 4 players over the age of 30; compared to 8 in the Argentina squad, 11 in the Sweden squad and 7 in the German squad. France’s star player was Raymond Kopa, who had signed for Real Madrid two years earlier after playing against Los Blancos for Stade de Reims in the 1956 European Cup final. Kopa was the only non-domestic player in the French squad. France were handed what could perhaps be considered a kinder group than some, with Yugoslavia, Paraguay and Scotland being their opponents. If France had not been considered a threat in the World Cup prior to the tournament, that would all change after their opening group game. France played Paraguay in Norrkoping, where they came back from 1-0 down to record an emphatic 7-3 win, with Fontaine scoring a hat-trick. Three days later, the French were brought swiftly back down to Earth, defeated – just as they had been four years earlier – 3-2 by Yugoslavia. Victory against Scotland ensured a safe passage through to the next round though, as they topped the group. Whilst the 1958 tournament is perhaps best remembered for the emergence of a 17-year-old superstar in the form of Pele, the Brazilian didn’t even match half the tally of France’s leading marksman. Typical of football though, the story behind Fontaine’s record breaking 13 goals at the World Cup is far from a simple one. Born in Marrakech, then part of French Morocco to a Spanish mother, Fontaine lived in Morocco until the age of 20 when he moved to the Cote d’Azur and began playing for Nice. From Nice, where Fontaine proved himself to be a prolific scorer, he joined the best team in France at the time in the form of Stade de Reims. Fontaine was signed as a replacement for the departing Kopa, and he did not fail in stepping into the legends shoes. In the 1957/58 season which preceded the World Cup, Fontaine inspired Reims to the league title, comfortably leading the divisions scoring charts with 34 goals. Despite his prolific club form, Fontaine was not set to start for France at the World Cup. He had only won 5 caps for his country in five years prior to the tournament, and despite being played in pre-tournament warm-up games, it just wasn’t clicking for Fontaine on the international stage, and his Reims teammate Rene Bliard was the manager Albert Batteux’s preferred choice, despite having only scored 15 goals that season, 19 fewer than Fontaine. In France’s final pre-tournament warm-up game though, Bliard was injured, picking up a knock against a Swedish club side that would rule him out of the entire World Cup. In his absence, Batteux had no choice but to hand Fontaine a start; and the rest, as they say, is history. Having progressed through the groups, France were drawn against Northern Ireland, who had just emerged from a group consisting of themselves, Argentina, West Germany and Czechoslovakia. France made light work of their British opponents though. A 4-0 victory constituting a relative thrashing in the knock-out stages of a World Cup, and another brace for Fontaine taking his tally up to 8. Into the semi-final, France got the draw every team dreaded in 1958 – Brazil. The history books show a 5-2 win for Brazil, a Pele hat-trick, history made and pretty convincing victory on the face of it, on a Tuesday night in Solna, in front of 27,100 people. The reality was a little different. Whilst France were the highest scoring team in the competition with 15 goals in 4 games, they also had the leakiest defence of any team to reach that stage, having conceded seven goals. Therefore it was little surprise when Brazil took the lead after less than two minutes, courtesy of a close-range strike from Vava. Equally, no-one was now shocked to see Just Fontaine find the back of the net once more, courtesy of a sumptuous through ball from Kopa, to level the scores still within the first ten minutes. The Brazil team, whilst undoubtedly a fantastic collection of players with all the skill and finesse in the world, also had a toughness and nastiness to them. The game was finely balanced when Robert Jonquet had a collision with Brazilian forward Vava. Jonquet was the beating heart of the French defence, widely regarded as one of the finest defenders of his age, and France were left bewildered at the back without him. What’s more, this was at a time when substitutes were not permitted, and his injury on 35 minutes left France with almost an hour of football to play effectively down to ten men. Jonquet was injected with a pain killer at half-time, allowing him to stand, but was all but useless on the pitch. He could not run or kick the ball and was pushed out to the left wing where it was hoped he could do the least damage to the teams chances. It was too much though. Few could rival the Brazil team of ’58 with 11 men, and with 10 it was all but impossible. A goal from Didi and a hat-trick by the young Pele gave Brazil a convincing win, with a consolation goal by Piantoni giving a final score of 5-2. It is a great shame Jonquet was injured and that the French were forced to play such a chunk of the game with 10 men. The first half hour of the game had been fast, frantic and enthralling, with two hugely talented teams filled with attacking intent going at one and another. Jonquet’s injury killed the game, but more importantly, it killed France’s World Cup. They bowed out in the semi-final but still had the match for third-place to partake in, against fellow losing semi-finalist’s West Germany, who had been defeated 3-1 by hosts Sweden, suffering a similar fate as the French, having to play a large chunk of their game with 10 men due to injury. France showed their class once more with 11 men on the pitch, upstaging the Germans to romp home 6-3. Fontaine scored four, taking his tally to 13, and France’s to 23. In the final, Brazil would run out comfortable victors, coming from a goal down to beat Sweden 5-2. 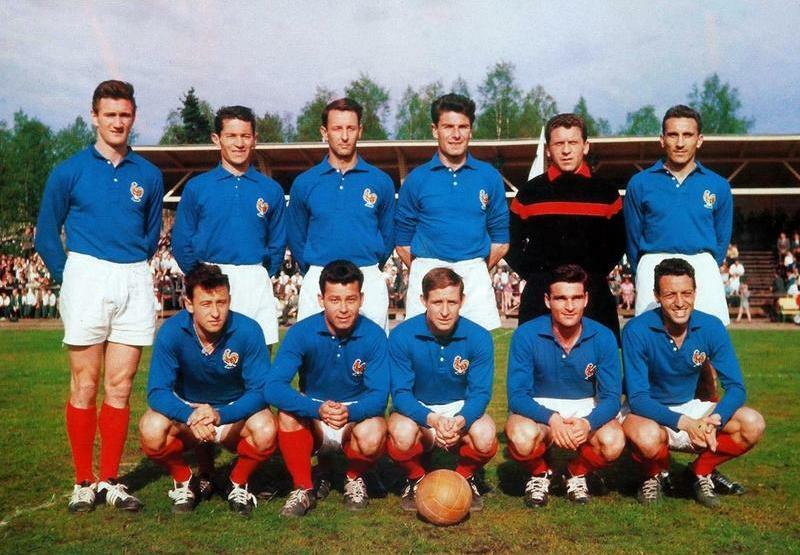 The French team of 1958 was a weird and wonderful coming together. France had a shocking 1954 World Cup, didn’t even qualify for the 1962 World Cup, and yet sandwiched in between these two failures was a terribly unlucky team which was France’s first to challenge on the world stage. It would be a quarter of a century before the French assembled a team as talented and successful again. It is a shame, but not all that surprising that the French team is not as fondly remembered as that team ought to be. Were a nation to replicate the approach and goal scoring feats of Fontaine and France once more, they would be hugely celebrated. In truth, even with 11 men, Brazil probably would have had too much for France to live with in that semi-final, such was the strength of the South Americans. But there is certainly no shame in that. France were, with the greatest of respect to Sweden, the second best outfit at that World Cup. The surprise performances of Sweden, Wales and Northern Ireland are all fondly remembered at the tournament, but not arguably the finest of them all, the French. The closest anyone has come to matching Just Fontaine’s record of 13 goals was Gerd Muller in 1970 with 10, and in the last 30 years, the closest anyone has come is Ronaldo with 8. Records are there to be broken, but it is not unreasonable to say that the record of Just Fontaine may never be beaten.